When I was traveling in Europe, my friend and I liked to say “a steeple a day keeps the doctor away,” due to the great number of steeples available to climb and the large number of stairs in those steeples. We climbed them for the exercise, the architecture, and the fantastic views of the cities we were visiting. When you are looking for things to do in Florence, Italy, you will want to climb the 414 steps of Giotto’s Campanile, a part of the Florence Cathedral and home to seven bells. Having taken a look at the city of Florence and fit in your exercise for the day, you could consider some of these other top things to do in Florence, Italy. 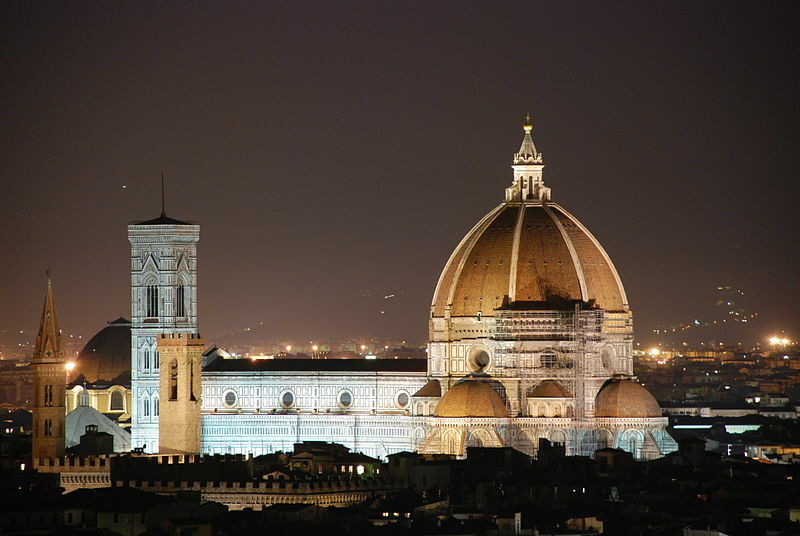 Also a part of the Florence Cathedral complex on the Piazza del Duomo, the Basilica of Santa Maria del Fiore is home to the world’s largest masonry dome, spanning 45 meters. The architect Brunelleschi invented hoisting machines to execute the construction of Arnolfo di Cambio’s design, earning Brunelleschi a place in the annals of architecture history. Florence features a mainstay of Italian aesthetic in the Boboli Gardens, home to sculptures created between the 16th and 18th centuries. Originally built as a completely private set of gardens for the Medici grand dukes of Tuscany, the gardens now cover 111 acres and feature the sculpture collection as well as a variety of Roman artifacts. 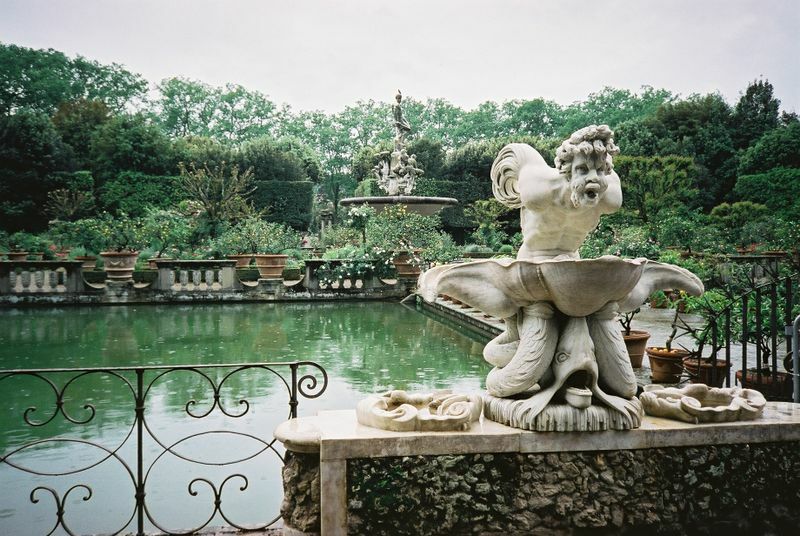 Take a stroll through the gardens, admiring the layout, the formal garden design, and the artistry of the sculptures, all set against the backdrop of the Pitti Palace. Ramp up the artwork by venturing to the Uffizi Gallery. Uffizi Gallery provides a wonderful visitor experience by limiting the number of people permitted entry at any given time. To ensure that you can enter with ease and not spend your valuable vacation time queuing, order your tickets online in advance. The Uffizi collection is vast and includes Botticelli, da Vinci, Titian, Raphael, Michelangelo, Caravaggio, Rembrandt and many more. Italian bridges are not simply a narrow passageway across a body of water. They are architectural features, with vendors and markets and towers all their own. The Ponte Vecchio does not disappoint, with its three segmental arches, spanning 30 meters in the center section and 27 meters in the others. This bridge was first mentioned in 996, though it has had several iterations due to flooding and damage. Ponte Vecchio was the only bridge in Florence not destroyed by retreating German forces in 1944. Fashion-forward Florence is home to an extensive leather market in San Lorenzo. Practice your bargaining here while picking up a long-lasting souvenir of your travels. From wallets to belts to jackets, it is all here – along with the distinct scent of leatherwork, which is free for the taking. Just like virtually every city in the world, discovering Florence is a matter of putting on a good pair of walking shoes and wandering. Pick up a gelato, sip a coffee, enjoy the street signs, observe people going about their daily lives. When you are looking for things to do in Florence, Italy, nothing beats a simple walk. What are your favorite things to do in Florence? Did we skip your favorite spot? Let us know in the comments below! Thanks for the great write up and suggestions! Very timely for me as Florence is one of my upcoming cities. Very excited! Florence is such a classic city! Although your recommendations are great, I think doing nothing and simply savoring the atmosphere would be just as wonderful.